John Gardenier has been entertaining people for over 25 years. won’t think of entertainment in the same way again. or your household items, everything becomes magical in John’s hands. California Magic Dinner Theatre located in Martinez California. John did a show 3/16/13 for a large group of special needs children. As a parent of one of those kids, I was brought to tears with seeing the excitement he brought to them. They laughed, they participated,they were amazed by his magic tricks. It was a great night, John is a wonderful magician. John came out to our school and did an hour-long assembly. He appealed to all the elementary students k-6 and the teachers. Highly recommend! The kids enjoyed the show! The kid and adults were laughing and having fun. The kids were focused and cooperative with the show. Kids and Parents were thrilled! We have received many good comments about his performance and the birthday boy, along with friends, keep talking about it at school. We had 40 kids and 40 parents and he made everyone feel included. Definitely recommend him and thanks for making the party a great event. Thanks for the kind words. I am thrilled the kids and parents had a good time. I hope to see you again sometime. John was great! Kids has a good time! He came well prepared and was on time (actually early)! John was absolutely amazing at our firm holiday party this year. He's an amazing illusionist and interacts well in a business-party type atmosphere. Highly recommended. We hired John for my son's 6th birthday party. John gave a great show that entertained the kids and had everyone laughing. Booking and logistics were uncomplicated and John was communicative and professional throughout the process. Entertaining for kids and adults alike. I would highly recommend John Gardenier. Thanks John! Great show! Variety of tricks for different age groups. Great experience! Second time seeing his performance and was pleased to see a different show each time. Very talented magician for all ages. Thanks Ricky I had a blast performing for your family and friends. John arrived early to set up and was very professional. He preformed a great show and was very reasonably priced (well worth the show). Everyone who came enjoyed the show including the adults. John did my son 7th birthday party for us and it went great. He had all the attention of the kid. And they all had a really good time. he provide the entertainment for us on very late notice. And for that we will always be grateful. I wouldn't hesitate to use him again. John's performance was well suited for our special needs audience. His humor and magic tricks had everyone laughing and engaged. John came to our non profit movie night on Saturday March 16th and was a huge hit with our special needs kiddos. He was patient and age appropriate with all of the children and young adults at the event. His act is fast pace so noone was bored and he added silly humor to his wonderful magic tricks that had our audience captivated! We would definitely recommend John to anyone. I hired John to perform at my child's 4th birthday party. There were about twelve kids and sixteen adults in attendance. John did an outstanding job playing to his younger audience while keeping the attention of the older crowd with his tricks. You can really tell John loves what he does and has really perfected his craft. John is an awesome entertainer and was very professional. I highly recommend you hire the Magic of John Gardenier for your next event. Like most people my experience with magic has been either watching on TV or as a captive audience at childrens birthday parties. 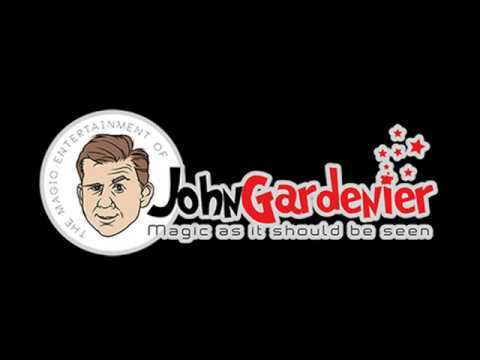 On December 2nd I attended the show at the California Magic Dinner Theater and was happily impressed with the magic of John Gardenier. John is the consumate professional. He doesn't just go out there and perform magic. He engages the crowd with his hilarious sence of humor and audience participation If you're looking for someone to just run through a series of tricks and illusions, John is not your guy. I've never experienced a show where I laughed as much as I did all the while being frustrated by not being able to figure out how John was able to consistently fool me with his craft. If you're looking to be treated to a "show", don't go with an amateur, go see magic as it should be shown. Go see John Gardenier. You will be treated to a performance like none other. I really can't wait to go see another show! I saw John perform at the California Magic Dinner Theater, and was blown away!!! First John came out and performed up close and personal at my table. Everyone was in suspense and mesmerized! After dinner the show started and John had everyone laughing, great participation with the audience and left us all wanting more after his closing trick. I walked away in awe and was wondering how it was possible, then realized it was just a great performance. I would definitely reccomend the show to others and am already planning to attend another show with family and freinds. I coordinate an after school program, had a magician booked, and the magician cancelled his performance on me w/very little notice. I called John on a Sunday late afternoon, and he called me right back. By Tues., he was putting on a show for my after school kids. What a professional, personable man, who put on an EXCELLENT show! The kids were amazing and laughing (so was I). He's an excellent entertainer, and I wouldn't hesitate in recommending him! Thank you, John! I had him entertain 15 kids on a rainy day. He did a great job keeping them rapt and perplexed. All the adults and kids were amazed at his performance. I recently attended a party where John provided the entertainment. I was so impressed with his show! His magic was awesome and his humor had me laughing the entire time. I'm looking forward to booking John for a birthday party in the near future. His show is a must see!!! Don't miss out! What an amazing act. We laughed the whole time. How the heck did he get my $20 bill into the inside of a lemon? We will never know. A must see show. Saw Mr. Gardenier perform at a co-worker's retirement get together. Mr. Gardenier was fantastic! Great slight of hand that had everyone wondering "how did he do that!". The show was a mix of comedy and magic and was a perfect fit for the event. John's show was amazing! Not only did he keep us completely entertained with his humor, his magic blew our minds. I recommend his show to everybody. I attended the Danville Village Theater for the Parlor of Wonders Show with my wife. John was one of three magicians that evening and he was by far the best. He was entertaining and humorous for all age groups that were in attendance and his magic was outstanding. I would strongly recommend John for any type of function/event. I hired John to do a show for my wife's 40th birthday party - which was for adults only. We had about 60 people at the party. John's show was incredible! All the guests at the party were impressed with the quality of the magic show and all were very entertained! 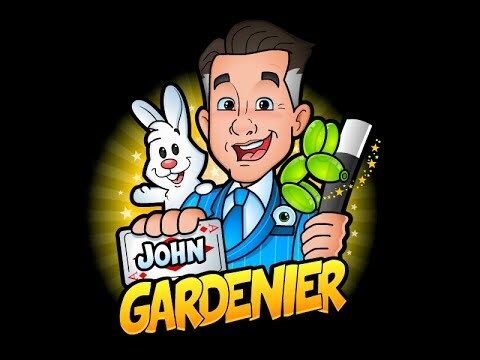 I was introduced to John Gardenier from a coworker who had used his services before. 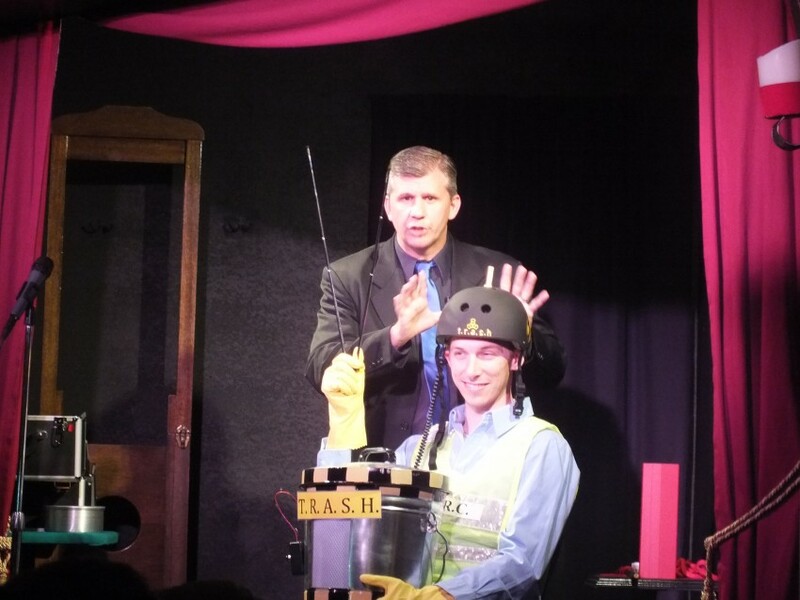 John was hired to perform several magic tricks for my daughter's 5th birthday at a local theater. John was very accomodating to my needs and was flexible with my schedule. There were about 20 young children at my daughter's birthday party and ALL of them were extremely excited with John's magic tricks. John has the unique ability to keep the audience entertained, no matter what age you are. I found myself watching his magic tricks when I was supposed to be taking pictures of the event!!! If you are looking for a magician, look no further because John will be able to give you what you need. I highly recommend John to anyone out there who wants to be entertained and for those looking for that 'wow' factor! When you hire John Gardenier for an event your are getting more than just an entertainer. You are getting an event expert. I include everything you need for the event. This includes backdrops, tables, sound, and props. The only thing you need to provide is a location to perform and the guests. Once your show is booked with me I am available to help you make your event as successful and memorable as possible. I will be your resource with answers to questions to help you avoid typical event pitfalls. All my shows are high energy, fast paced and involve a lot of audience participation. That's right your guests are going to participate in the magic and this is a guaranteed recipe to make your event a memorable experience. If your event is in honor of a particular guest I always make sure to use the guest of honor to some degree in my show. This makes for perfect photo opportunities. If your event is for a business, I can incorporate you business logo into tricks I perform. I can also develop tricks to help send a message to you audience. Think about how nice it would be to have your product, logo or message included in your performance. If you are having an event for children, like a birthday party I always include as many kids as possible in the show. The birthday celebrant will receive a magic book and a custom made birthday card. The card will have their name and age printed on the card and I always include a special message from me on the back of the card. I also make sure that all the kids who leave my show get a magic trick to take home with them. They receive everything they need to perform the trick, including access to video instructions. according to the audience and particular event. 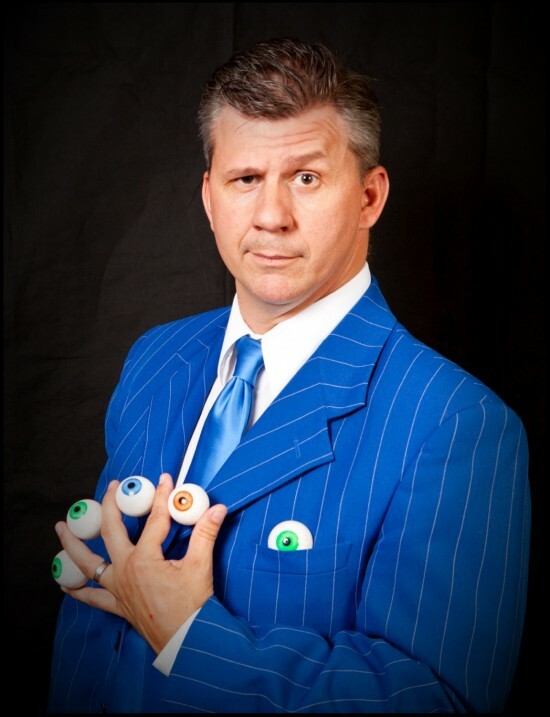 From corporate stage shows to round-the-room sleight of hand, John will leave even your most skeptical guests saying,“How did he DO that?” Also, with experience performing for colleges, family functions, and children’s parties, John engages audience participation—inviting members of the crowd to be baffled by all five senses! For smaller events I can provide all the equipment neccessary for your events. When events get to groups over 100 then larger equipment will be needed. For larger events please call to discuss specific requirements. I try to create a mixture of the performance styles of both in my act. I can provide all equipment for event 100 and under in attendance. Thank you so much for a wonderful magic show you put on for our son's birthday party. From what I heard, your show was a hot topic in school the next day. I had a couple of teachers come up to me asking me if I really had a magic show in my house because kids wouldn't stop talking about how fun it was. 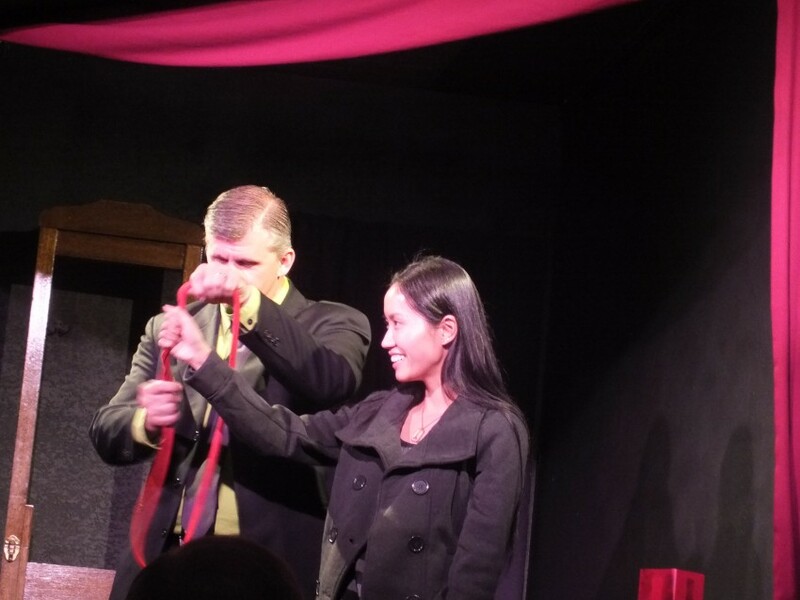 Your show always brings high energy, big laughs and great classic magic to our stage. You are one of our audiences favorite performers! I highly recommend your magic performance to anyone who wants great entertainment. If you want a top quality performance that will "wow" you, John is the man. His magic is brilliant and I would not hesitate to recommend him to anyone!